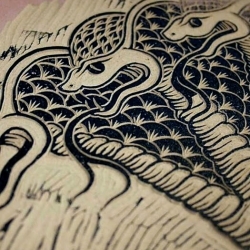 New Cobra Linocut from Danish artist Jacob Dahlstrup. Timelapse video of the process. See more from Jacob Dahlstrup.